Dikembe Mutombo is a giant among men. 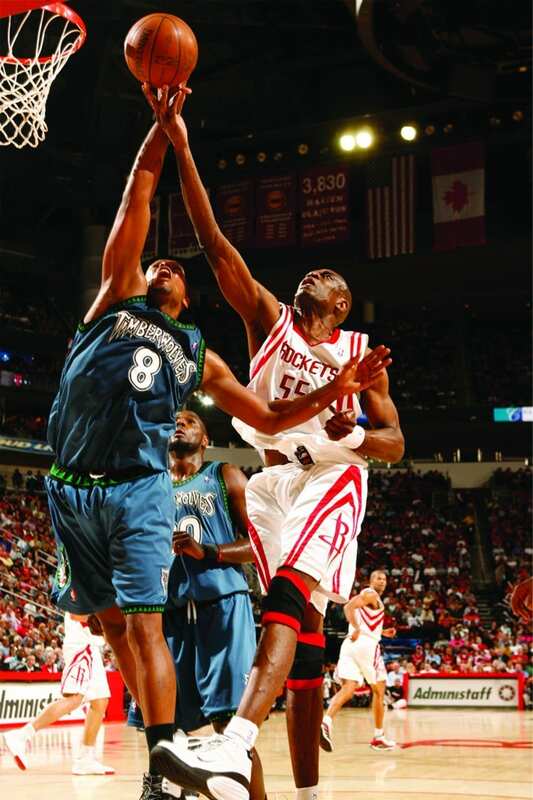 At 7 feet 2 inches, the former Houston Rockets center towered above a majority of other players in the NBA. Regarded as one of the most prolific defensive players of all time, Mutombo has won the NBA Defensive Player of the Year Award four times, and in 2007 he surpassed Kareem Abdul-Jabbar as the second most prolific shot blocker in NBA history, behind Hakeem Olajuwon. Where the basketball superstar stands out most, however, is in the area of philanthropy. Called the “NBA’s tallest humanitarian” by the New York Daily News, Mutombo has a heart as big as he is tall; a heart that reaches across the Atlantic Ocean to his homeland of Africa, the poorest continent in the world. The impetus behind Mutombo’s compassionate and giving soul is twofold. First, he is a follower of Jesus Christ and respectively adheres to the Bible’s mandate to care for the needy. Second, though Mutombo is now a wealthy former pro athlete, he hasn’t forgotten what it is like to be poor. The fact that Mutombo, born June 25, 1966, has not let his new life in America eclipse his concern for the hurting in Africa is just one more characteristic that sets the gentle giant apart from many other professional athletes. One of Mutombo’s most recent steps to give the poor in Africa “a hand up” was his joining the Opportunity International Board of Advisors. Opportunity International is a Christian organization committed to solving global poverty. Serving more than one million poor entrepreneurs in 28 developing countries, the microcredit organization provides small loans – sometimes as little as $50 – and other services that allow poor entrepreneurs to start or expand a business, develop a steady income, provide for their families, and create jobs for their neighbors. Of Mutombo’s participation in the organization, Opportunity International President and CEO Christopher Crane, said, “What you quickly learn about Dikembe Mutombo is that he is not a sports celebrity doing a little charity work. This is a man of deep commitment to the poor who puts his own time, energy, and significant amounts of money into projects like his hospital. In 2007, Mutombo invited Opportunity International executives to the dedication of the Biamba Marie Mutombo Hospital and Research Center, named for his late mother. It is the first major healthcare facility dedicated to providing the finest medical services to the poor in the DRC. While there, Mutombo introduced Opportunity International to key government ministers to discuss the organization’s plans to provide microfinance services including loans, savings, and insurance for the poor. He also met with DRC President Joseph Kabila to further accelerate Opportunity International’s timetable for entering the country. In September 2007, while on a goodwill tour for the NBA, Mutombo visited Mozambique, where Opportunity International is already serving the poor. He toured the bank and visited loan and savings clients in marketplaces in the capital city of Maputo. Mutombo created an immediate stir entering the market, as would any person who is as tall as he is, dressed impeccably in a suit and tie. “I always dress this way in public,” he explained. Soon hundreds of men, women, and children were following him as he stopped to talk with Opportunity International clients selling food and household goods in the market stalls. Not everyone recognized him as an NBA player. “Bom dia, my sister, bom dia, my brother,” he greeted the entrepreneurs in what little Portuguese he knows. It is not one of nine languages he speaks. At one business that sells shoes, the proprietor, a woman named Rosita, tried to find a pair of basketball shoes to fit him. “Rosita, I need size 22!” he exclaimed, holding up his foot. While she did find a large pair of Nikes, which is his basketball shoe sponsor, they were at least six sizes too small. While spending the day in the marketplace, Mutombo asked many questions of the entrepreneurs served by Opportunity International. “What they all tell me is that the first thing they do when they get a loan and expand their business is buy better food that is more nutritious for their children. And they use the extra money they earn to keep their children in school,” he said. Mutombo is elated that an increasing number of individuals and ministries are demonstrating concern and action on behalf of the citizens of Africa. In recent days, largely as a result of advocates such as Mutombo, musician Bono, and other celebrities, Africa has attracted a growing interest and support base. But there are still massive needs facing the African continent and its people. Just one season away from retiring from the NBA, Mutombo had only scratched the surface of what he hoped to help accomplish on behalf of his homeland. It is no wonder, then, that Mutombo has earned multiple awards for his unceasing efforts. The husband and father of six children (four of who were adopted) received the NBA’s humanitarian award in 2001. The Sporting News named him as one of the “Good Guys in Sports” in 1999 and 2000. In 1999, Mutombo was also elected as one of 20 winners of the President’s Service Awards, the nation’s highest honor for volunteer service. It is certain that Mutombo would say he could receive no greater compliment than to be recognized for his lifelong devotion to his homeland and to God. But it is his love for others, not the awards, that has kept and will keep him serving the poor with excellence in all that he sets his giant heart to do. Roxanne Robbins is a freelance writer for Sports Spectrum magazine. 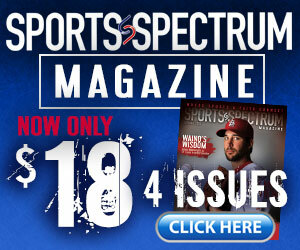 This story was published in Sports Spectrum’s Silver Anniversary Edition, Celebrating 25 Years of Sports and Faith. Order the book here.